As I said in my first post, I have started a new fortnightly illustration collaboration with the great folks at www.creaturemag.com. 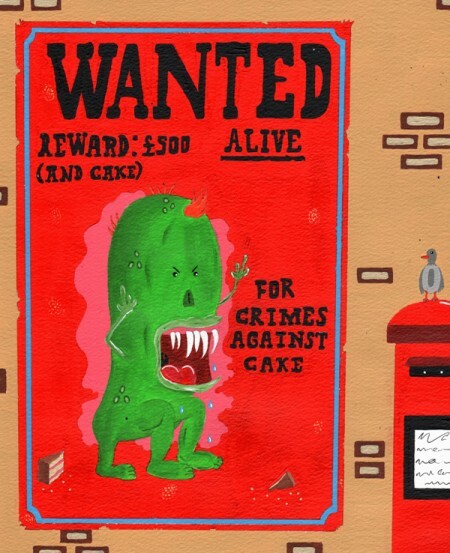 The name of the section is ‘Freak of the week’ and I have contributed a very cheeky Cake monster!. You can see the little fella here on the post, or alternatively on the official site, which has a little description as well. Hope you enjoy! and keep your eyes on your cake, or this little guy might just take it……….